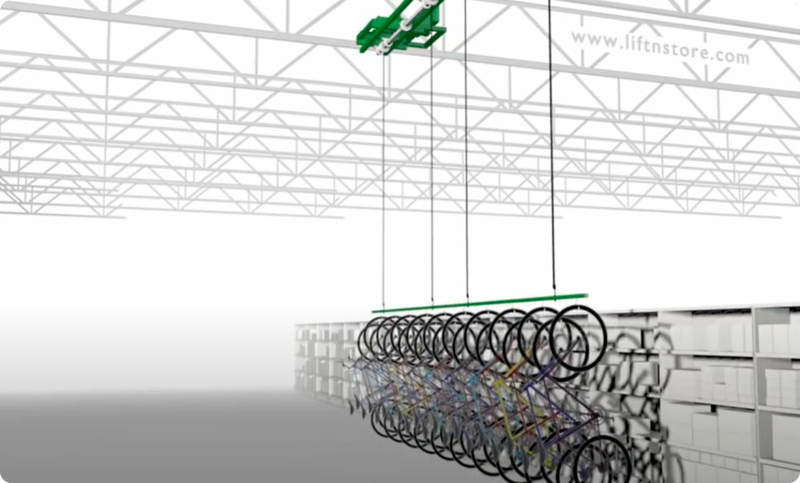 Overhead Bike Storage Made Easy. Get your bikes off the floor, no more dents or lost inventory. Free up your work bays, tires are at your fingertips. Clothes Storage the Smart Way. Keep your aisles clear and your clothes clean. Keep valuables safe and out of reach. Overhead wall mounted storage is safe, reliable and easy to use. Push a button and in moments your goods are right at your fingertips. Push the button and everything is up and out of the way. Taking inventory is easy because you see exactly where everything is. You also get built in security; it is overhead and no one can tamper with it. What Can We Store For You? Every day you pay for empty open areas. These areas could be used for optimal storage. Overhead lifts are easily bolted into ceilings keeping aisles open and clear. Existing shelves stay put and you nearly double your storage overnight without a remodel. It is easy to save money for your storage. Every day you pay for overhead space that is empty. Now you can get double use from that open space by using it for storage. 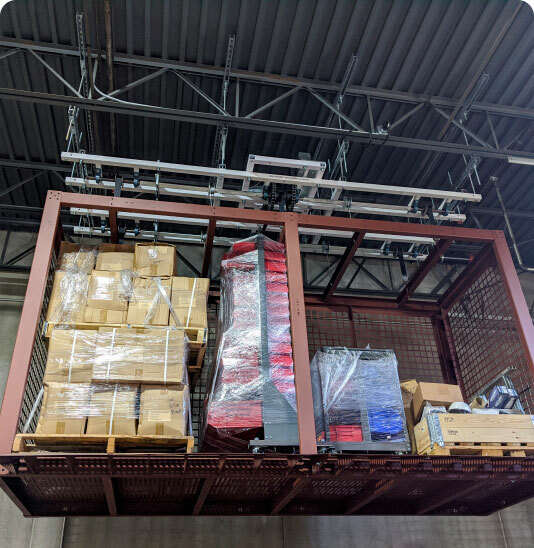 No need for a remodel, our lifts go right into your existing ceiling and you do not even have to move your existing shelving. A very smart move.